meets everyday life, and we do life together. Wherever we are in the world, as soon as we commit ourselves to God He becomes our Father and we become part of His worldwide family, as brothers and sisters in Christ. Every local Christian church is a smaller unit within that huge world-wide church, which means every person who is committed to The Oasis becomes part of God’s church here. Having a happy and healthy church is a very important priority for us. by growing and establishing a strong city church. None of us can build close relationships with more than about ten or twenty people, so the way for us to be able to care and grow at the same time, is to have smaller groups within The Oasis church, meeting regularly together as well. People so easily get lost or even hide in a large group of people, so to ensure that you are a happy and healthy member of “ The Oasis “ family and that you are being pastorally cared for / looked after well in this church and that as many of your needs as possible [ practical, physical, emotional, mental, spiritual, other ] are being met, it’s very important for you to not only get involved in but to be committed to a Life Group, which also involves you helping to meet some of the needs of others in your group too. you belong in The Oasis Church family. Doing Life together means we share our joys and struggles, our spiritual insights and challenges, our fears and hopes, with a small group of others. Together we change and grow, keeping Jesus front and centre. 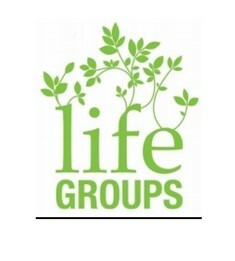 We grow, and plant other groups, to extend God’s life-changing influence across our communities.